The new JVA Android Touch Screen Keypad for the JVA Energizer Range provides the functionality of the existing LCD Keypad but with a more user-friendly interface. The problem of warning signs unclipping in a strong wind has been eliminated by the inclusion of additional lugs on the sign. 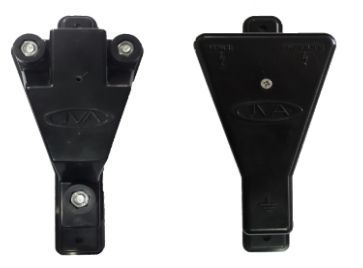 The JVA Dual Channel Lightening Diverter is the must-have device when installing Z-Series Energizers in lightening prone areas. It provides protection for the energizers on both the Feed and Return fence wires, ensuring that a lighting strike on or near the fence, is safety diverted to the earth. It is two-stage protection can withstand a lighting surge of up to 2000Amps, limiting the voltage to the energizer to the energizer to an acceptable 15Kv. 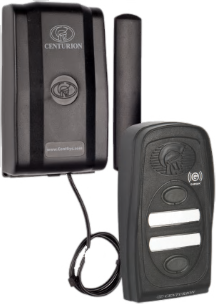 The G-SPEAK GSM-based intercom system is ideal for people on the move. Utilising your mobile phone as a handset you can answer your intercom, and open your gate, from just about anywhere. Lengthy, expensive cable runs are a thing of the past. The G-SPEAK Classic + advanced GSM-based intercom system offers the amazing freedom, security and convenience of being able to answer your intercom from anywhere in the world, and also includes advanced functionality such as the high-security Eavesdropping feature and input monitoring. *Certain functionality may require additional interface devices such as relays, isolators, etc. Fence Energizer for wildlife control or farm security. 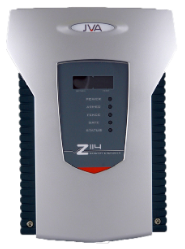 The ZLM4 is a four-sector, programmable, low voltage, electric fence monitor that can be used as a stand-alone unit or in conjunction with high voltage security electric fence energizers. When connected to the non-electrified wires of an electric fence it is ideal for splitting one high voltage zone into up to four low voltage monitored sectors. The ZLM4 monitors a low voltage loop using intrinsically safe isolated ELV DC. It employs a continuity check for detecting open circuits, DC voltage level sensing to detect a short to ground, and pulse voltage sensing to detect a short to a line carrying high voltage or a fence energizer. 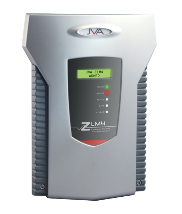 The ZLM4 is compatible with all NA energizers and may be connected via a keypad bus network to other Z Series devices such as Perimeter Partol. The SENTRY Two Channel 220Vac Receiver is a two channel receiver for control applications that requires 220Vac. It is fully compatible with ALL SENTRY code hopping transmitters in all button formats, and can learn up to 20 unique transmitter buttons. Two Relay control channels are provided, each capable of switching typically 5 to 10 Amperes at 220Vac. The normal operation of the relay is latching, providing that the links are not inserted. When the links are inserted the relay is in pulse operation (the default pulse time is approx 2 seconds). By making use of the timing function on the board the maximum time is 30min. This makes it possible to control outdoor lights. 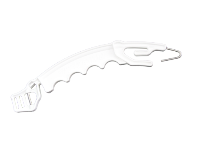 The unique, V-shaped JVA Electric Fence Lightning Diverter is fully SANS 10222-3 compliant and is ideal for incorporation into lengthy agricultural and wildlife fences in areas where lightning is problematic.